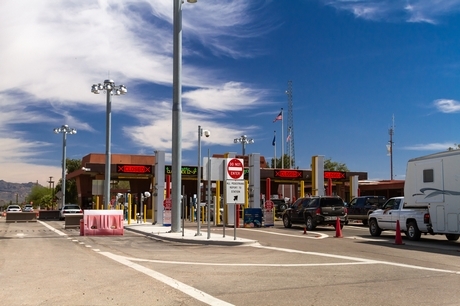 The US Government's decision to divert border personnel away from checkpoints and into the field is causing increasing delays to produce crossings, shippers say. In the past week, there has even been mention of closing parts of the border but this scenario appears to be increasingly less likely. However, while the amount of fruit and vegetables coming in from Mexico is reported to be steady, it is the time it takes for it to be cleared that is causing a tightness in supply. Gustavo Dominguez of La Minita Fresh in Texas, says the company is now allowing an extra day for produce to arrive in their facility. "We are getting affected by the border issues mainly in the time it takes for produce to be delivered," he shared. "At the moment, we are allowing an extra day for trucks to pass through the border checkpoint as it's now taking six to seven hours for produce to cross the border." La Minita Fresh offers a variety of produce but the company mainly focuses on limes, mangoes and pineapples. Dominguez said it's unknown how long the situation will continue for. "We simply don't know how long it will take so for now we are just trying to plan ahead and work with the situation. Demand is increasing as supplies for many commodities begin to tighten." Tomatoes are another notable commodity feeling the effects of the border issue. Inventory in US warehouses is reducing and some companies are reportedly facing periods of empty floors. Prices are subsequently fluctuating and those able to secure steady volumes are benefiting. "Deliveries are slowing down and tomato availability is definitely shorter," noted Manny Gerardo of Arizona-based Bernardi and Associates. "We have been seeing it on the weights of deliveries. For example, last week there was product and this week there is none. As a result, prices are up and down and companies that have product are seeing higher prices." Similar to what is being faced by most companies, Gerardo said there is not much produce importers can do but wait it out. "This could go on indefinitely - we don't really know," he observed. "It all depends on the government and things can change at any time."